On Friday, February 9, 2018, our sweet Claire, whom we never thought would ever get to take part in "normal" high school activities, WENT TO THE PROM. And not just any prom... she went to the Tim Tebow Foundation's Night to Shine prom! We learned about this prom last year but were unable to attend because it conflicted with one of Cal's basketball games. This year, the stars aligned, and our girl was able to go! Sleepy girl getting some beauty rest before her big night! You & that dad-gum camera again?! REALLY?!?!? Oh, and did you SERIOUSLY use the smallest rollers we had? I'm so screwed. and Chapstick without dropping them at the same time! WOOHOOOOO! PS -- The brilliant combo of OT + hours of primping = CHECKMATE, yo. Claire was workin' the classic pin-up pose like a total girl boss. "Ain't no mountain hiiiiiiiigh enough..."
OMG you guys, my girl is a stunna! Could not take my eyes off of her all. night. long. I didn't think I could possibly love this man o' mine anymore than I already did, UNTIL THIS NIGHT. He was the coolest dad, so interactive, so patient, so loving, SO FREAKIN' FUN! I'm lucky AF, you guys. Classic positioning having Claire's feeding pump in the background. 😏 Oops! If you look close, you can see they are workin' their black/white bow ties! Oh, you fancy huh! The back of this dress had me all heart eyes allllllll niiiiiiight looooooong! It has a traaaaaaaaaain!!!!! After a crap ton of pictures at home, we headed out to Aviator Church for Night to Shine 2018. We weren't sure what to expect, as we'd never been before, and we hadn't even talked to anyone who had. We arrived to check in, Claire got her "under 21" bracelet (no Tequila Sunrises for our little party girl! JK, it was just to ID who she was), and we waited for her to get announced on the red carpet. We could not believe how many people were there, how incredibly kind everyone was to all of us, and how "all out" they had gone. We were simply blown away. Waiting in line to be announced for the red carpet! Josh Kelly, red carpet announcer, lit it UP! He made it so very special for everyone involved. We were told they had a party bus as well as a limo in which the attendees could ride around the large parking lot, so we decided to brave the bitterly cold weather & winds to check it out! The party bus had already left and no one was inside the limo, so we quickly jumped in for a spin. To our relief, it was about 85 degrees inside the limo with the heater on blast, which our Mimi LOVED! (Scott's pit stains might have disagreed though... HA!) The music was blaring, the ceiling lights were flashing and changing colors, and SHE. WAS. IN. HEAVEN!!! This might have been her favorite part of the whole night. The last time I saw Claire this into the lights was in Vegas at New York New York where the little bubble lights lined the ceiling of the entrance. Her eyes immediately darted up as soon as she entered the limo, and she stared in awe at the ceiling the entire few minutes we were inside. It was so visually stimulating, and we enjoyed watching our girl take it all in, feeding off her happiness & delight. It was decorated SO beautifully inside... much more exquisite than we ever expected! I'm not sure who was having more fun that night -- Claire, Scott or me! The DJ was slaying, the videographer was capturing everyone dancing & projecting it onto a huge screen, and the rest of us were gettin' down with our bad selves! "Cuttin' a rug" with her Daddy! Possibly my favorite pic of Claire with her Daddy EVER. had made a surprise appearance on her special night! Check out Claire's sparkly Chucks! Do they make these in my size?! For more video footage of this breathtaking night, CLICK HERE for Aviator Church's video highlights (peep our girl at the 1:08 mark!) or visit THEIR WEBSITE for more info about this event, ways to donate, or learn how you can be a part of this touching event next year. Please know that even if you don't have a child with superpowers who is 14 years of age or older, you can still be a buddy/volunteer in your area! 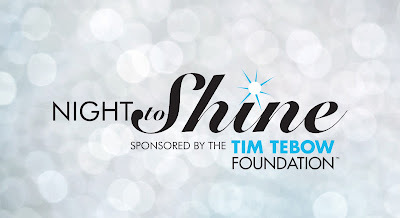 Scroll to the bottom of THIS PAGE to locate a Night to Shine Prom in your state. 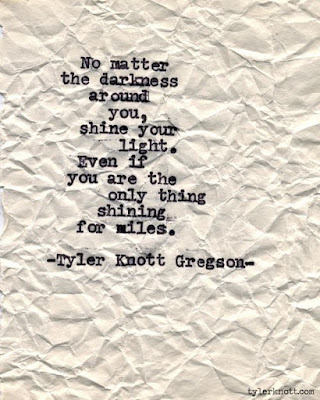 Join the mailing list. Check out the #nighttoshine hashtag on Instagram. See the pure joy on the faces of all who take part in this unbelievable night. I SO wish we had known about it sooner!